A Makeup & Beauty Blog – Lipglossiping » Blog Archive Pink Week! Clinique's Limited Edition "Almost Lipstick - Pink Ribbon Honey"
A limited-edition pink shade with a sheer, smooth formula that allows a hint of natural colour to come through, promising to be flattering on everyone. 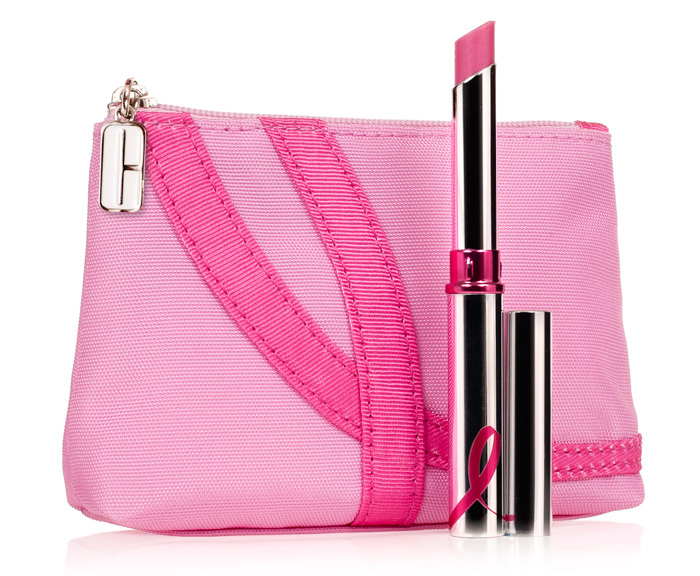 Housed in a pink mini cosmetic carrying pouch with a sewn pink ribbon detail. £2/€4 will go to THE BREAST CANCER RESEARCH FOUNDATION® (£1/€2 from Clinique and £1/€2 from Selfridges and Boots nationwide/ Brown Thomas) from every purchase sold in the UK. Clinique’s Limited Edition “Almost Lipstick – Pink Ribbon Honey” is available to buy from Clinique counters, Selfridges, Boots and Brown Thomas, while stocks last. Looks like a pretty lippie! I wish they donated more though.